I am sure that you are enjoying the slightly pleasanter weather this week and the students have been able to spend more time outdoors. I am told that the air quality, in Bangkok, is continuing to improve. In the meantime, we are continuing to focus on initiatives which will reduce the effects of pollution in our learning spaces. I will update you as necessary. I would like to take this opportunity to remind you of some of the safety recommendations that we have in place on both campuses and I ask for your support and cooperation in ensuring that these are followed. Clearly, the most important focus that we should have, as adults, is the safety of our children. The Bangkok Prep Health and Safety Policy and our comprehensive safeguarding procedures ensure that any dangers, risks and threats are kept to an absolute minimum. However, we have less control over potential dangers in and around Bangkok. I am increasingly aware that the journey to and from school can be fraught with possible dangers. This is common in all busy and vibrant capital cities. To that end, I have listed some practical tips that we can heed in order to reduce the possibility of accidents. Be careful when crossing roads – Please can I ask you to impress upon your children the need to take great care on the footpaths and when crossing roads – as we all know the car parks and roads in Bangkok are very busy and we need everyone to be vigilant in order to remain safe. Car passengers must wear seat belts – On April 5th, 2017, a new law came into effect stating that passengers in the rear seat of a car are now required to wear seat-belts in addition to the driver and front seat passenger. If you are travelling in a car or taxi which is fitted with a seat-belt, remember to buckle-up. Failure to do so can result in a fine of up to 500 Baht and is also clearly very dangerous. Travelling in Coaches, mini-vans and buses – Legislation that has been in place since 2014 states that all passengers travelling on buses and in mini-vans in Thailand must wear seat-belts. Transport operators must ensure their vehicles are equipped with seat-belts. 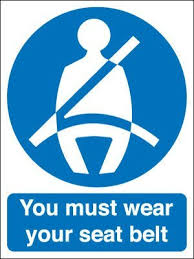 Signs should also be on display inside the vehicle reminding passengers to wear them. Passengers not wearing seat-belts can be fined up to 5,000 Baht (compared to 500 Baht for car passengers). Our school bus monitors are instructed to ensure all students are seated and wear seat belts. Please remind your child about the importance of wearing their seatbelt for the full duration of their journey to and from school. Motorbike helmets – Existing Thai law says a maximum of two people are allowed on a motorbike and both must wear helmets. 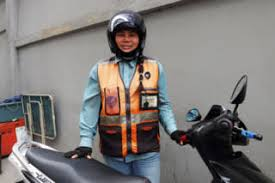 Many people are injured or killed in Thailand every year because they are not wearing helmets. The latest road safety campaign would suggest Thai authorities are trying to tackle this issue too, so it’s a prudent time to remind people of the law. Our security guards have been instructed to only allow motorbike riders and passengers wearing helmets onto the Bangkok Prep campuses. I am sure that you agree that road safety must always have a high profile in schools and we are determined to avoid accidents at all costs. Thank you for your continuing support in this matter. I would like to announce that Nigel Wilsonlock will be leaving Bangkok Prep at the end of this academic year after four years at our school. He is taking up the opportunity of another Headship at another highly regarded international school in Asia. During his tenure at Bangkok Prep, Nigel has had a significant impact on the positive direction of the school. Nigel’s invaluable input and guidance during the design and development of our new Secondary Campus at T77 has ensured the resulting facilities are now the envy of other international schools in Asia, underpinning the growth in academic results and student numbers. 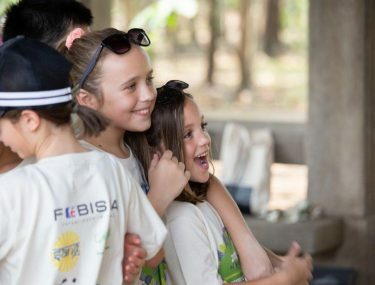 Nigel’s commitment, professionalism and student centred approach to leadership has, without doubt, had a significant impact on the extraordinary progress and development of Bangkok Prep during the last four years. We very much appreciate the effort and energy he has put into leadership and his commitment to his role as Head of Secondary. I hope you will all join me in wishing him well in his next role. Although we are sad to be saying goodbye to Nigel, I am delighted to announce that Tia Court-Smith, our current Director of Studies, has accepted the role of Head of Secondary after a rigorous global recruitment process. Nigel is already working closely with Tia to ensure a smooth transition process. Tia Court -Smith will assume the role of Head of Secondary in August 2019. 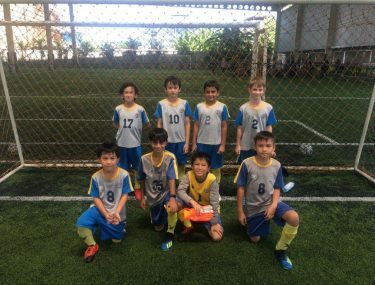 The school is in an excellent position to build on its academic success and is now regarded as a premier international school in Asia. When you view the Term 3 calendar on Firefly you will see that there is a slight change to the published annual calendar. The government have announced that Monday 6th May will be a public holiday due to Coronation Day. 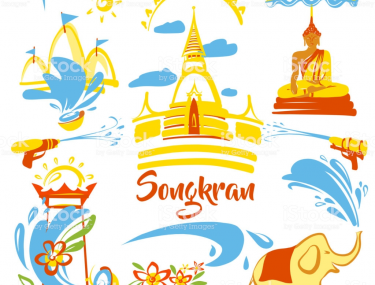 Therefore, this will be designated as a holiday for Bangkok Prep, so please mark this in your diaries. Please also note that any scheduled external examinations will still take place on Monday 6th May and that our contractual pledge to deliver 180 days of teaching is unaffected by this change.